Viber App Review: Unlimited Free Calls and SMS - Save Hundreds Each Month, Build Key Relationships | West Loh on Leverage, Automation and Outsourcing Strategies, 100% Free! Viber is an iPhone application that lets you make free phone calls and send free text messages to other iPhone users that have Viber installed. When you use Viber, your phone calls to any other Viber user are free, and the sound quality is much better than a regular call. You can call any Viber user, anywhere in the world, for free and now also text them. All Viber features are 100% FREE and do not require any additional “in application” purchase. Hello and welcome to the Viber iPhone app review. 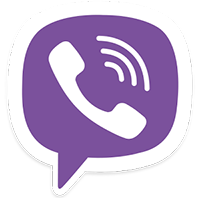 Viber is an app that allows you to make free phone calls and send free text messages to other users with the Viber app installed. It’s a pretty amazing app and it’s growing really quickly in the app store. I have been using it for a while now and the only thing I need to do now is to get all my friends and family on here because it’s a pretty amazing app. So this is the screen that comes up with the keypad. What I love about this app is it natively integrates in using your current phonebook. So you don’t have to actually add anyone or send out friend requests like you do for Messenger and Skype and Fring and all these other apps that allow you to do that. It automatically integrates your current contacts and tells you which one has Viber installed or not. So let me show you an example. By tapping on CONTACTS here, that’s my phonebook. And these are the people with Viber on it—that have the Viber sign next to it. And an easy way for me to just isolate that is tap on VIBER. And here it shows all the people with Viber on it. So as long as you have an internet connection, you can call these people for free or send them a text message for free, which has just happened in the last update which I thought was an awesome update and took this app to the next level. Obviously, you can set people as your FAVORITES and you can add more contacts as well as you would on your normal phonebook. This tab down here shows you if there were any recent calls or miscalls you may have had from the app. And this tab here, the MESSAGES icon, keeps track of all the messages just as if you were tapping in on the message icon in your own iPhone. And it shows you all the conversations you’ve been having and the conversations you’ve sent. So it’s pretty awesome in that sense. So let me tell you some cool ways to use and enhance the app or how I use it. Firstly, obviously, you’ve got to figure out the people you most regularly call and interact with and that’s what’s going to rack your phone bills up—by calling them. Somehow convince them to download the app. As I speak and record this, there’s currently no Viber app for Android. However, it is in production. So by the time you’re listening to this, it may very well be already released. I would definitely get all those people on to Viber—your family and friends—and you can call them for free. You can text them for free and there are no limits. I also love to use this app to network and maintain and build relationships. In the past, for me, one of my excuses for not maintaining relationships with people was that it cost quite a lot of money: calling people on their mobiles, texting them all the time. It would actually cost a fair bit doing it properly if you have a big network and you like to contact them regularly, that is a barrier. But with the Viber app, as this grows—it’s only in its infancy now—but as it grows, it’s going to have massive implications. A lot of people are going to be downloading and using this app. And keeping in touch with networks, maintaining relationships and building relationships is a really good way to use this app. I set a goal of a couple of calls a day to key networks and maybe several text messages a week just to keep in touch with people that I normally would lose in contact with. So as I said, the app itself has the capability of your phonebook in it. The sound quality is kind of dependent on your internet connection. If you don’t have a running connection or it kind of drops in and out, then your conversation will drop in and out. So that’s a not‑so‑good point. But it is fantastic in that it doesn’t have ads everywhere. So there’s no annoying pop‑up ads or sliding in or out. And if an international friend or person has Viber, it has no international charges at all so you can talk internationally, free of charge for as long as you want for unlimited time. So it’s just mostly positives with this app. I guess the only negative that could possibly happen in the future—I remember Skype not so long ago was restricted by a lot of phone networks because they didn’t like the fact that you could call using the internet and not use their phone and therefore they’d be losing out on money. So it’s obviously not Skype’s fault but you need to keep that in mind, that that might happen with this as well. So other than that, you know, it’s a free app. That’s another beautiful thing about it. There are only positives. The only other thing that pops in my mind is I don’t believe you can adjust the ringtones? So it’s kind of like a blanket ringtone. But that may change in the future and I might just need to go to my settings and change that as well, which I’ll post as an annotation to this video if I find that. Overall, I’m going to give it an 88%. I love the fact that you can make calls for free. Talk for as long as you want. Have good sound quality. And as it grows, you’re just going to be able to make more and more contacts that you can reach for free without having to add them and request friends like you do with other apps. So good job to the team of Viber. And I hope you enjoy this app and I’ll see you in the next app review. * COMPLETELY FREE AND WITH NO ADS: Viber and all Viber features are absolutely free and do not require any additional “in application” purchase. Once you and your friends install the free Viber application, you can use it to talk and also text as much as you want. Just makes sure all your friends get Viber! All you need is an Internet connection: 3G or Wi-Fi where available. On top of that, Viber doesn’t contain any annoying ads. * NO INTERNATIONAL CHARGES: It doesn’t matter where you or your friends are, be it on the same network or in a totally different country. You can talk for as much as you want, for free. Just make sure your friends have Viber too. * NO USERNAMES, PASSWORDS OR REGISTRATION: You know your friend’s phone number, so why bother with yet another username and password? Viber uses your phone number as your “identity” and lets you make free Viber phone calls to any of your friends that have Viber – using THEIR phone number. * NO NEED TO ADD BUDDIES: Unlike applications like Skype, Windows Live Messenger or Fring where you need to “add buddies” and have them approve you, Viber behaves just like a phone. Just like you do not need to “add” someone in order to call them, you do not need to add your friends in order to call them on Viber. If you know their phone number, then you know their Viber number, and you’re ready to go! This is a member of the Viber Development Team! Thank you for your review of Viber. we are very happy that so many people worldwide are interested in our application. If anyone has any questions/suggestions for Viber, please feel free to write, and I will address them shortly. Thanks for stopping by! It is certainly a great app, and deserves all the recognition it gets! You’re welcome to send anyone to view my positive review of this app. cheers! Cut down the cost of your international phone calls with Viber app for iPhone! You can experience free international calls and text messages through the use of Wi-fi and even iPod users can experience it. The application is totally free! What’s more interesting is that you can still receive calls even if the application is not running. I’ve been using it quite some time now with my iPhone 3GS to keep in touch with loved ones without spending any cent.